"Pretty good movie except for all the rap (crap)music." "It's not great art, but it is a great movie. Great story and an excellent production. Somewhat predictable, but I loved it!" "Would rate it more at 3.5 stars instead of 4. 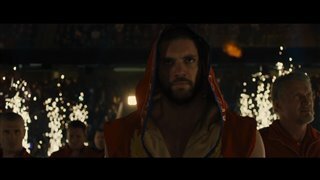 A good story with twists and plenty of good boxing scenes . Also nice that not much foul language in it . However the film dragged at times and could have been 15 to 20 minutes shorter. Also , the predictable formula of previous Rocky films . 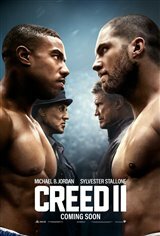 Liked Creed 1 better overall."